"We dance for fun, bliss, pleasure, and love working our bodies, we love the connection with each other, and joining with like-minded people, locally and around the globe. Practicing, rehearsing, gaining energy and momentum with passion for something that brings the you joy!" Step into the Circle and Join the Tribe! 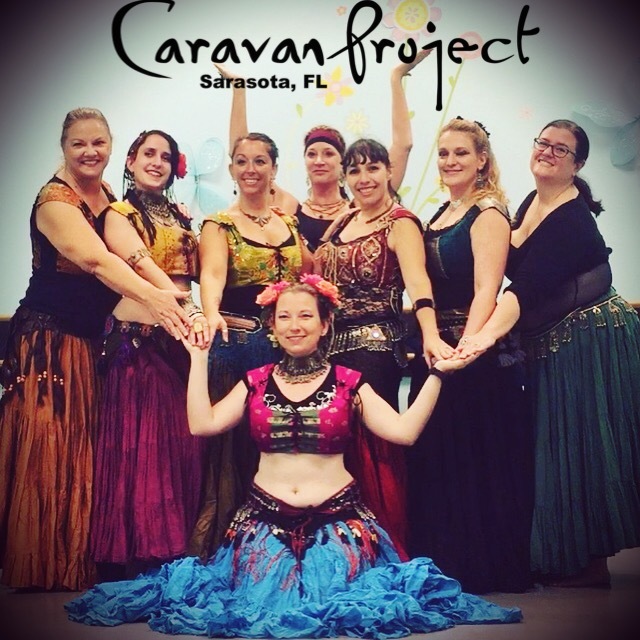 Caravan Project Sarasota is Manasota’s improvisational tribal bellydance troupe. Founded in 2016 by Misha, the group includes dancers who are dedicated to gathering together and shimmying up some fantastic tribal dance! The Caravan Project is an international dance project founded by Paulette Rees-Denis. 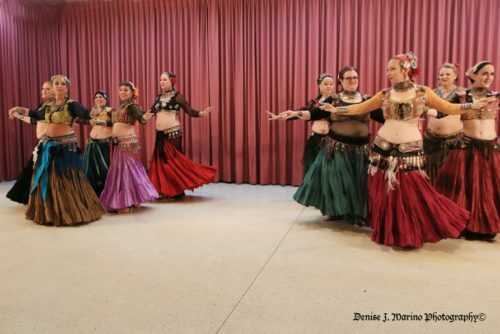 Participants dance together and share the joy of Gypsy Caravan Tribal Bellydance®. 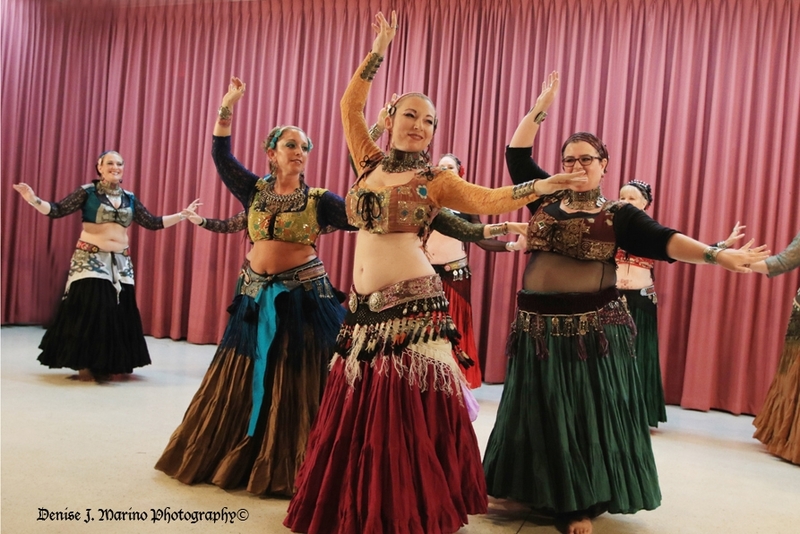 During monthly workshops and rehearsals, dancers cultivate their Tribal spirit and get to feel the magical connection that comes from practicing this fantastic bellydance style. Rehearsals include time to truly practice the improv format and to do so in a large group, providing dancers with lots of experience in leading and following with multiple different partners. Rehearsals are also used as performance preparation as the troupe is available to dance for a variety of events too. The overall intent of the group, however, is to simply connect, dance, and enjoy. Participation in this group is open, by invitation, to dancers who have completed Level 1 and have a firm foundation in Level 2 Gypsy Caravan Tribal Bellydance®. 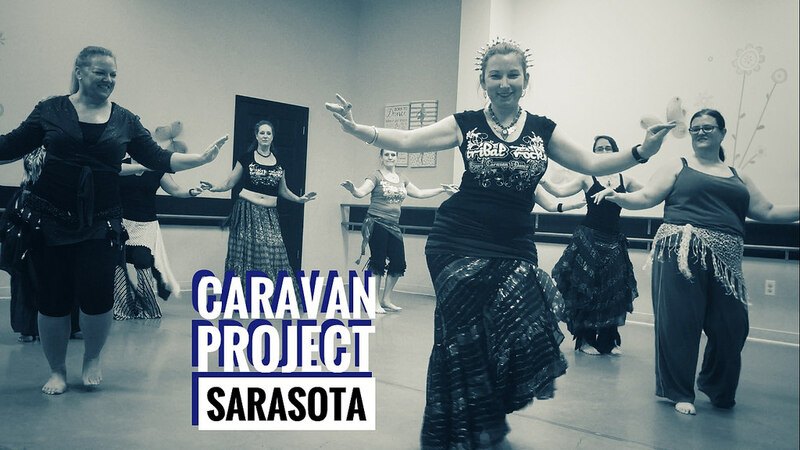 Caravan Project currently meets once a month on Sundays from 3 to 4:30 pm at Soul Studios Sarasota.